Liverpool welcome Chelsea to Anfield Road for the penultimate fixture of the 2015/16 Premier League season on Wednesday night. Who will come on top? 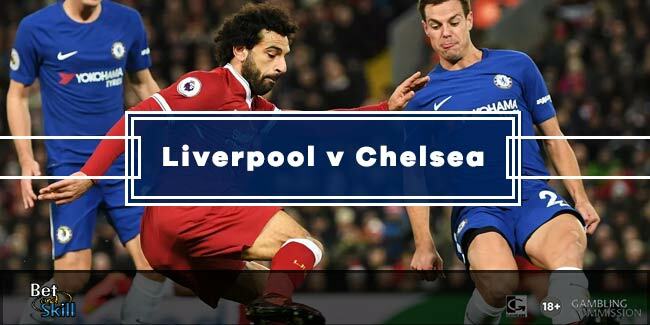 This article contains our LIVERPOOL v CHELSEA betting preview with predictions, betting tips, best odds, probable lineups, bookie offers and no deposit free bets on this big clash! Liverpool are battling Southampton and West Ham United for a place in the top six for next year's Europa League. However, if they win the Europa League final against Sevilla, the Reds will get direct entry into the group stages of the Champions League. They will come into the clash off the back of a 2-0 win over Watford on Sunday, just days after booking their place in the Europa League final beating Villarreal at Anfield Road. After making numerous alterations to his weekend team sheet, Jurgen Klopp is set to hand the vast majority of his first-team regulars a starting role for this big match. Adam Lallana, Roberto Firmino and Philippe Coutinho are favourites to line up behind Daniel Sturridge in a 4-2-3-1 set-up. The likes of Divock Origi, Jordan Henderson, Danny Ings, Joe Gomez, Jordan Rossiter and Danny Ward are out through injury while Mamadou Sakho is still serving a UEFA imposed suspension. Chelsea sit 9th in the Premier League standings, 10 points behind Liverpool. The Blues succumbed to their 12th loss of the Premier League campaign against relegation battlers Sunderland at the weekend. They are now guaranteed to go down in Premier League history as the worst defending champions ever nad have also conceded 50+ goals in a league season for the first time since 1996-97, and four more in those final two games would see them equal their club-record worst tally of 55 in the Premier League era. John Terry was sent off in the 95th minute last time out, ruling him out of Chelsea's final two games of the season. Guus Hiddink is likely to turn to Branislav Ivanovic alongside Gary Cahill in the heart of the back-four, with Cesar Azpilicueta switching flanks to allow Baba Rahman a start at left-back. Up front, Ruben Loftus-Cheek and Oscar may also come into consideration if the Dutchman shuffles his pack. Diego Costa is out through injury and as consequence Bertrand Traore and Alexandre Pato are in competition to deputise in Costa's absence. Pedro, Loic Remy and Kurt Zouma are sidelined. Liverpool had gone eight matches without a win in all competitions against Chelsea until the two sides met at Stamford Bridge earlier this season. In that occasion, the Reds beat the Blues 3-1. Crazy Double! 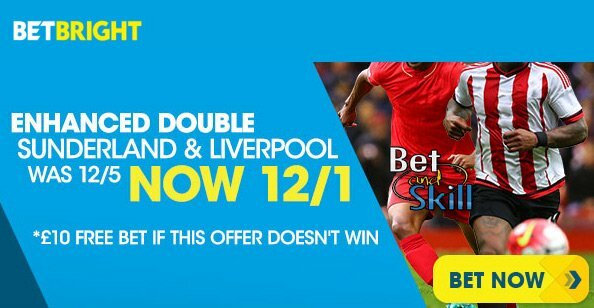 Get 12/1 Liverpool & Sunderland both to win! Enhanced Price - 6/1 Liverpool or 10/1 Chelsea to win + £100 bonus! 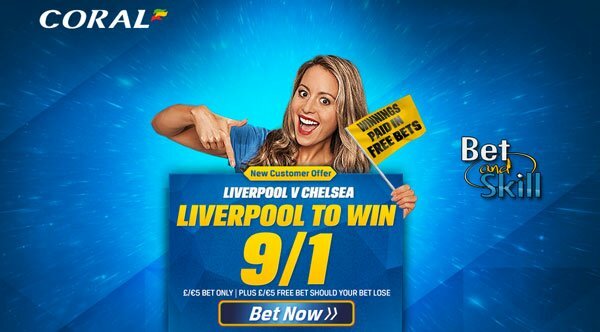 Price Boost - 9/1 Liverpool to beat Chelsea + £5 free bet! Enhanced treble: 14/1 Liverpool, Celtic & PSG all to win! Enhanced odds - 6/1 Liverpool to win the match! "Liverpool v Chelsea predictions, betting tips, lineups and odds (Premier League - 11.5.2016)"